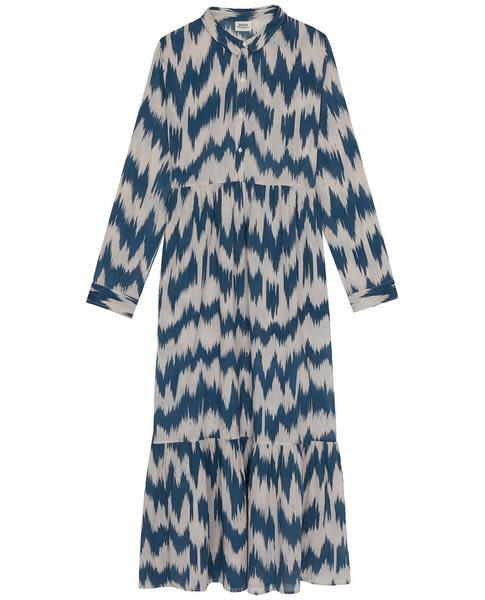 Hartford Red Ikat Petrol Blue Dress, a full length maxi dress cut from a crisp cotton in a blue and white ethnic print. With a bohemian vibe this Summer dress has long sleeves and buttons running down the front to the loose waist. Model is 175cm and wears size 2.